The Church Street Festival is a great way to connect with community learn about local organizations, support local businesses, get fresh air and exercise while enjoying the sights, sounds, and smells on the street! Discover a wide variety of stores, entertainment, artisan food and retail vendors from far and wide, showcasing amazing products and services, special festival deals and more. 2019 Events are currently being planned. If you would like to be apart of the festival, please reach out to us. Want to be part of this great festival? Contact Crystal Fudge at bonavistaarchives@outlook.com or call 709-468-7747 ext 231. 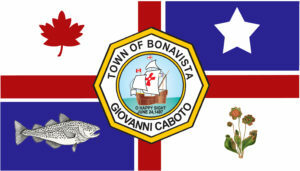 Contact Crystal Fudge at bonavistaarchives@outlook.com or call 709-468-7747 ext 231 to discuss the variety of sponsorship opportunities available. The Garrick is a multi-use, 200-seat theatre and meeting space in the Town of Bonavista. This year-round cultural facility offers comfortable theatre seating, state-of-the-art sound and lighting equipment including full digital cinema, and exceptional acoustics. At The Garrick you can find the best in performing arts and film.